Simon Marais, the Founder of South Endeavour Trust died in February 2015 after a short but valiant battle with a very aggressive cancer. While best known as a leading investment manager, conservation was Simon's passion and South Endeavour Trust stands as a legacy to this passion. When it came to conservation Simon didn't want to do everything, he just wanted to make a real difference with the things that we did do. And what a difference. actively used habitat for many endangered species and, most recently, some of the most important water bird breeding sites in the state. In Queensland, we have two major projects. 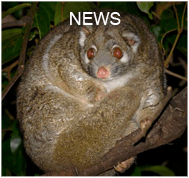 The first has been enhancing rainforest connectivity on the Atherton Tablelands to benefit a diverse range of threatened and endangered species from Cassowaries and Tree Kangaroos to an incredible range of high altitude possums. The second has focused on connectivity between the Wet Tropics and Cape York Peninsula bioregions. Our four reserves in this area protect over 110,000 hectares of spectacularly diverse lands as the rainforest gives way to the great savanna that stretches across northern Australia. 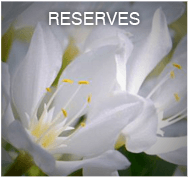 These reserves protect a very large number of threatened and endangered species and their habitats. One of Simon's major concerns as he contemplated his mortality was to ensure that South Endeavour would endure for what he described as "a thousand years". We had many discussions as to his wishes for the future in the grim months before his death and we have put in place funding arrangements to ensure that South Endeavour will endure in perpetuity. Simon's leaving us has left a void that can never be filled, but we are determined to build on what Simon has created and make a real difference to conservation in Australia. South Endeavour currently owns and manages sixteen conservation reserves. To date we have focused on four areas of great conservation need, each of which has extraordinarily diverse biodiversity values. These are: Northeastern New South Wales; the Mulga Lands and ephemeral wetlands of northwestern New South Wales; the endangered rainforests of the Atherton Tablelands; and the intersection of the Wet Tropics and Cape York bioregions in Far North Queensland. 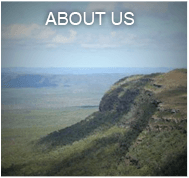 At South Endeavour we believe that private individuals and private sector organisations can make a very major contribution to nature conservation in Australia, both supplementing and complementing the public reserve system. We have great admiration for the committed efforts of the national parks services throughout Australia and for organisations such as Bush Heritage Australia and the Australian Wildlife Conservancy as well as for the myriad of smaller organisations and individuals who are doing so much to care for our precious environment. To make the greatest possible contribution to nature conservation that we can, which often means doing things that others cannot or will not do. 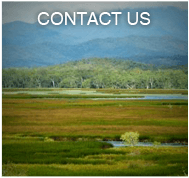 For example, we have recently purchased two small areas of very expensive farming land on the Atherton Tablelands for revegetation to complete an essential wildlife corridor that the local community has been working on for many years. This corridor is vital in providing a range of endemic small mammals the greatest possible chance of survival in the face of climate change. To manage our conservation reserves as well as we practically can. This means making good management decisions based on sound science and then carrying these decisions through on the ground, to make a real difference. 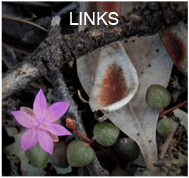 Our major management focuses are: weed control, reducing feral animal numbers and using fire as a tool to maintain appropriate diversity and resilience. To ensure that we build a sufficient capital base such that the annual income from that capital is sufficient to meet our management costs in perpetuity. This means that we are very focused on knowing and controlling our costs and that we have great regard for future management expenses in considering properties for purchase. As a consequence, we tend to cluster our reserves within specific geographic areas to encourage efficiency in management and that we try to buy properties where the management requirements are known and, preferably, are limited. South Endeavour Trust was established in 2007 as an independent, not for profit, charitable trust with the sole purpose of contributing to nature conservation in Australia. We actively seek to work in partnership with others to make the greatest possible contribution that we can to conserving the unique natural values of our great and ancient land.